1) There were two Boston tea parties: Between 50 or 60 "Sons of Liberty," disguised as Mohawks, protested the 3 cents per pound British tax on tea by dumping chests of the popular drink into Boston Harbor on December 16, 1773. Fewer know that the improper Bostonians repeated the performance on March 7, 1774. The two tea parties cost the British around $3 million in modern money. 2) Benjamin Franklin wrote the first Declaration of Independence: In 1775, Franklin, disgusted with the arrogance of the British and appalled by the bloodshed at Lexington and Concord, wrote a Declaration of Independence. Thomas Jefferson was enthusiastic. But, he noted, many other delegates to the Continental Congress were "revolted at it." It would take another year of bitter conflict to persuade the Congress to vote for the Declaration of Independence written by Jefferson -- with some astute editorial suggestions by Franklin. 3) History's first submarine attack took place in New York Harbor in 1776: The Connecticut inventor David Bushnell called his submarine the Turtle because it resembled two large tortoise shells of equal size joined together. The watertight hull was made of 6-inch-thick oak timbers coated with tar. On September 6, 1776, the Turtle targeted the HMS Eagle, flagship of the British fleet. The submarine was supposed to secure a cask of gunpowder to the hull of the Eagle and sneak away before it exploded. Unfortunately, the Turtle got entangled with the Eagle's rudder bar, lost ballast and surfaced before the gunpowder could be planted. 4) Benedict Arnold was the best general in the Continental Army: "Without Benedict Arnold in the first three years of the war," says the historian George Neumann, "we would probably have lost the Revolution." In 1775, the future traitor came within a whisker of conquering Canada. In 1776, he built a fleet and fought a bigger British fleet to a standstill on Lake Champlain. At Saratoga in 1777, his brilliant battlefield leadership forced the British army to surrender. The victory persuaded the French to join the war on the American side. Ironically, Arnold switched sides in 1780 partly because he disapproved of the French alliance. 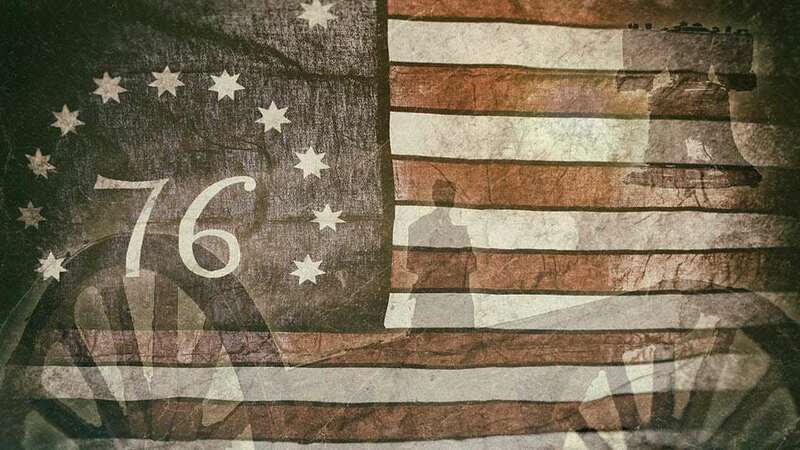 6) George Washington was the best spymaster in American History: He ran dozens of espionage rings in British-held New York and Philadelphia, and the man who supposedly could not tell a lie was a genius at disinformation. He constantly befuddled the British by leaking, through double agents, inflated reports on the strength of his army. 7) By 1779, there were more Americans fighting with the British than with Washington: There were no less than 21 regiments (estimated to total 6,500 to 8,000 men) of loyalists in the British army. Washington reported a field army of 3,468. About a third of Americans opposed the Revolution. 8) At Yorktown, the victory that won the war, Frenchman outnumbered Americans almost three to one: Washington had 11,000 men engaged in the battle, while the French had at least 29,000 soldiers and sailors. The 37 French ships-of-the-line played a crucial role in trapping the 8,700 strong British army and winning the engagement. 9) King George almost abdicated the throne when the British lost: After Yorktown, George III vowed to keep fighting. When parliament demurred, the King wrote a letter of abdication -- then withdrew it. He tried to console himself with the thought that Washington would become a dictator and make the Americans long for royal rule. When he was told that Washington planned to resign his commission, the monarch gasped: "If he does that, sir, he will be the greatest man in the world." 11) The Olive Branch Petition was adopted by the Second Continental Congress on July 5, 1775 in a final attempt to avoid a full-on war between Great Britain and the thirteen colonies represented in that Congress. The Congress had already authorized the invasion of Canada more than a week earlier, but the petition affirmed American loyalty to Great Britain and beseeched King George III to prevent further conflict. In August 1775, the colonies were formally declared to be in rebellion by the Proclamation of Rebellion, and the petition was rejected by Great Britain, even though King George had refused to read the Olive Branch Petition before declaring the colonists traitors. 12) George Washington's dentures: They weren’t made of wood, as legend has it, but rather of hippopotamus ivory and cows’ teeth, held in place by metal springs. 13) Desertion was such a problem during the war that George Washington actually expected the Continental Army to dissolve. When the Revolution began, American soldiers were enthusiastic about fighting for the cause of independence. But as the war dragged on and the hardships of campaigning mounted, once-eager volunteers began to melt away in droves. In fact, prior to the victory at Trenton in late 1776, as many as half of Washington’s men had absconded. 14) National lotteries were established to help finance the war. Unlike the well equipped British redcoats, the American army was a rag-tag rabble with insufficient resources even at the best of times. At the war’s outset, Congress tried to raise money for the nascent military through a series of national lotteries. Four such draws were held in 1777, raising more than $1.5 million for the cause while paying out a top prize of $50,000 along with tens of thousands of lesser cash rewards. Funds raised helped pay for goods, which were sorely needed in Washington’s shanty army camps. 15) Soldiers and officers in the Continental Army went months, if not years, without pay. In the autumn of 1782, Continental officers in the Hudson Highlands were seething over the fact that they had not been paid in months – in some cases, years. Eventually, this mounting frustration led to a budding army insurrection known as the Newburgh Conspiracy, which Washington fortunately snuffed out. 16) The Continentals used cash incentives to recruit talent. While the Declaration of Independence specifically condemned the British use of paid mercenaries to suppress the rebellion (like the Hessians), the Continental Army lured recruits to its cause with cold hard cash. During the Revolutionary War, a young man would receive a “bounty”–a cash award– if he signed up to fight the British. 17) The British Army was supported by German mercenaries, nicknamed Hessians. Over 30,000 Hessian soldiers were hired to fight against the American rebels during the Revolutionary War - equivalent to one quarter of the British force. 18) The Peace Treaty of Paris 1783 was signed on September 3, 1783 and ended the American Revolutionary War between Great Britain and the United States of America. 19) The 13 colonies were Delaware, Pennsylvania, New Jersey, Georgia, Connecticut, Massachusetts Bay, Maryland, South Carolina, New Hampshire, Virginia, New York, North Carolina, and Rhode Island. 20) Compared to the ratio of the population, The War of Independence was the second-deadliest American conflict after the Civil War. 21) In 1776, the population of the 13 American colonies was estimated at 2.4 million. 85% of the white population was of British descent, with 9% of German origin and 4% Dutch. 22) American colonies had difficulties raising troops due to the economic need to stay on a farm. About 90% of the American population worked on farms. 23) The largest battle of the war took place on August 27, 1776. British troops gained control of New York. It is known as the Battle of Long Island and also the Battle of Brooklyn Heights. 24) In 1778, France formally entered the war against Great Britain, recognizing the independence of the United States. 25) In 1779, Spain secretly joined the war as an ally of France and America, hoping to capture Gibraltar and British colonies in the Caribbean. 26) George Washington was appointed commander of the Continental Army on June 14, 1775. He would not return to Mount Vernon until 6 years later. 27) Many Loyalists moved to England after the war ended. A lot of them lost their fortunes and land that they had built up over years in the Americas. In some cases, the British government paid them for their loyalty, but it was usually not nearly as much as they had lost. 28) Although Britain had the most powerful navy in the world in 1776, Patriot forces managed to recruit privateers (armed ships commissioned by the government to attack foreign powers) to fight for the fledgling country. Nearly 800 vessels were commissioned, and they ultimately captured or destroyed approximately 600 British ships. It’s estimated that the privateers caused about $18 million in damage to British shipping by the end of the war, over $302 million in today’s dollars. 29) Mohawks and other members of the Iroquois Confederacy fought for the British in the northeast, while tribes in the Ohio country tried to remain neutral. In 1778 at the Treaty of Fort Pitt, the Delawares and Americans agreed to “perpetual peace and friendship.” But when the Patriots killed noncombatant Moravian Delawares, the Ohio Native Americans joined the British, and continued to fight American westward expansion long after the war. 30) A significant amount of Loyalists were African-American slaves. The British promised to free the slaves from their Patriot masters and around 50,000 slaves (roughly 10% of the total slave population in the 1770s) fled their masters to side with the Loyalists. 31) The United States government wanted Loyalists to stay in the country. The skills, education and knowledge of the loyalists were seen as important assets to the new country. Despite that, very few Loyalists chose to remain in the United States. 32) Patriots (also known as Revolutionaries, Continentals, Rebels, or American Whigs) were those colonists of the Thirteen Colonies who rebelled against British control during the American Revolution. In July 1776, they declared the United States of America an independent nation. Their rebellion was based on the political philosophy of republicanism, as expressed by spokesmen such as Thomas Jefferson, John Adams and Thomas Paine. They were opposed by the Loyalists who instead supported continued British rule. 33) Loyalists were American colonists who remained loyal to the British Crown during the Revolutionary War. At the time they were often called Tories, Royalists, or King's Men. They were opposed by the Patriots, those who supported the revolution and called them "persons inimical to the liberties of America". Prominent Loyalists repeatedly assured the British government that many thousands of loyalists would spring to arms and fight for the crown. The British government acted in expectation of that, especially in the southern campaigns in 1780-81. In practice, the number of loyalists in military service was far lower than expected. Across the colonies, Patriots watched suspected Loyalists very closely, and would not tolerate any organized Loyalist opposition. 34) When their cause was defeated, about 15% of the Loyalists (65,000–70,000 people) fled to other parts of the British Empire, to Britain itself, or to British North America (now Canada). The southern colonists moved mostly to Florida, which had remained loyal to the Crown, and to British Caribbean possessions, often bringing along their slaves. Northern Loyalists largely migrated to Ontario, Quebec, New Brunswick, and Nova Scotia. They called themselves United Empire Loyalists. Most were compensated with Canadian land or British cash distributed through formal claims procedures. Loyalists who left the U.S. received £3 million, or about 37% of their losses, from the British government. Loyalists who stayed in the U.S. were generally able to retain their property and become American citizens. 35) Historians have estimated that between 15 and 20 percent of the 2 million whites in the colonies in 1775 were Loyalists, or about 300,000-400,000 men, women and children. 6) The main goal of the navy was to intercept shipments of British matériel and generally disrupt British maritime commercial operations. The initial fleet consisted of converted merchantmen because of the lack of funding, manpower, and resources, with exclusively designed warships being built later in the conflict. The vessels that successfully made it to sea met with success only rarely, and the effort contributed little to the overall outcome of the war. 7) The United States Navy recognizes October 13, 1775 as the date of its official establishment, the passage of the resolution of the Continental Congress at Philadelphia that created the Continental Navy. 8) Of the approximately 65 vessels (new, converted, chartered, loaned, and captured) that served at one time or another with the Continental Navy, only 11 survived the war. The Treaty of Paris in 1783 ended the Revolutionary War and, by 1785, Congress had disbanded the Continental Navy and sold the remaining ships. Factors leading to the dissolution of the Navy included a general lack of money, the loose confederation of the states, a change of goals from war to peace, and more domestic and fewer foreign interests. 9) The frigate USS Alliance fired the final shots of the Revolutionary War; it was also the last ship in the Navy. A faction within Congress wanted to keep her, but the new nation did not have the funds to keep her in service, and she was auctioned off for $26,000. 10) The Continental Marines were the marine force of the American Colonies during the American Revolutionary War. The Corps was formed by the Continental Congress on November 10, 1775 and was disbanded in 1783. Their mission was multi-purpose, but their most important duty was to serve as onboard security forces, protecting the captain of a ship and his officers. During naval engagements Marine sharpshooters were stationed in the fighting tops of the ships' masts, and were supposed to shoot the opponent's officers, naval gunners, and helmsmen. 11) In all, there were 131 Colonial Marine officers and probably no more than 2,000 enlisted Colonial Marines. Though individual marines were enlisted for the few American naval vessels, the organization would not be re-created until 1798. Despite the gap between the disbanding of the Continental Marines and the current organization, the United States Marine Corps celebrates November 10, 1775 as its birthday. 12) Since they didn’t have money for a big navy, the Continental Congress hired privateers, aka pirates, to attack British ships. They were then supposed to split the booty with the U.S.
3) The Continental Army of 1775, comprising the initial New England Army, organized by Washington into three divisions, six brigades, and 38 regiments. 4) The Continental Army of 1776, reorganized after the initial enlistment period of the soldiers in the 1775 army had expired. Washington had submitted recommendations to the Continental Congress almost immediately after he had accepted the position of Commander-in-Chief, but the Congress took time to consider and implement these. Despite attempts to broaden the recruiting base beyond New England, the 1776 army remained skewed toward the Northeast both in terms of its composition and of its geographical focus. This army consisted of 36 regiments, most standardized to a single battalion of 768 men strong and formed into eight companies, with a rank-and-file strength of 640. 5) The Continental Army of 1777–80 evolved out of several critical reforms and political decisions that came about when it became apparent that the British were sending massive forces to put an end to the American Revolution. The Continental Congress passed the "Eighty-eight Battalion Resolve", ordering each state to contribute one-battalion regiments in proportion to their population, and Washington subsequently received authority to raise an additional 16 battalions. Enlistment terms extended to three years or to "the length of the war" to avoid the year-end crises that depleted forces. 6) The Continental Army of 1781–82 saw the greatest crisis on the American side in the war. Congress was bankrupt, making it very difficult to replenish the soldiers whose three-year terms had expired. Popular support for the war reached an all-time low, and Washington had to put down mutinies both in the Pennsylvania Line and in the New Jersey Line. Congress voted to cut funding for the Army, but Washington managed nevertheless to secure important strategic victories. 7) The Continental Army of 1783–84 was succeeded by the United States Army. As peace was restored with the British, most of the regiments were disbanded in an orderly fashion, though several had already been diminished. 8) By 1779, as many as one in seven Americans in Washington's army was black: At first Washington was hesitant about enlisting blacks. But when he heard they had fought well at Bunker Hill, he changed his mind. The all-black First Rhode Island Regiment (composed of 33 freedmen and 92 slaves who were promised freedom if they served until the end of the war) distinguished itself in the Battle of Newport. Later, they were all but wiped out in a British attack. 1) Canadian Department: The establishment of the Canadian Department reflected the aspirations of the Continental Congress and some Americans to annex the British province of Quebec, then often referred to as "Canada", but the effort was ultimately unsuccessful. Although the Americans captured Montreal in November 1775, and established their headquarters at Château Ramezay, the region was never entirely under the control of the Continental Army. The Canadian Department was formally established from the New York Department on January 17, 1776. After the Invasion of Canada failed, all troops were withdrawn to Fort Ticonderoga, New York. The Canadian Department was officially discontinued on July 8, 1776. 2) Eastern Department: The Eastern Department was formed around those states that had originally sent troops to support the Siege of Boston, and in that sense it even existed before the Continental Army. This was essentially the New England department, and included the states of New Hampshire, Massachusetts (including the present state of Maine), Rhode Island, and Connecticut. For the first year of the war, the field army associated with this department, under the command of General Washington, was variously designated as the Continental Army, Grand Army, or Main Army. The Eastern Department was formally established on April 4, 1776 when the Main Army under Washington moved from Boston to New York City. Important operations in this department included the Siege of Boston in 1775–1776 and the Battle of Rhode Island in 1779. The department was discontinued in November 1779. 3) Northern Department: The predecessor of the Northern Department was the New York Department, which was established on June 25, 1775. This department was sometimes described as the Separate Department and the troops stationed in it were known as the Separate Army. The original New York Department was coextensive with the Province of New York. The department's boundaries were extended to include Canada in the initial phase of the Invasion of Canada, but Canada was established as a separate department on January 17, 1776. When the Middle Department was created on February 27, 1776 the New York Department was merged into it. The Middle Department, as originally organized, included all of the colonies of New York, New Jersey, Pennsylvania, Delaware, and Maryland. The inclusion of New York in the Middle Department continued for less than two months, however. In April 1776, the Main Army moved from Boston to New York City and Washington assumed command of the Middle Department. The Northern Department was formally established from the Middle Department on April 14, 1776. The reorganized Northern Department included only that portion of the colony of New York north of the Hudson Highlands, and the present state of Vermont. The field army associated with the Northern Department was known as the Northern Army. Operations in this department did not end with Saratoga. Fighting continued in the Northern Department until the end of the war. The department was discontinued upon the death of its last commander, General Alexander, at Albany on January 15, 1783. 4) Highlands Department: The Highlands Department was the smallest in area. Strictly speaking, it was part of the Middle Department, but because of its importance it was virtually a separate department. The Highlands Department was formed around the defenses on the Hudson River about 50 miles north of New York City, where the Appalachians and the Hudson intersect. After the British occupied New York City in 1776 the defenses just north of there became critically important. The presence of British naval forces at New York emphasized the importance of the Hudson River, and both sides in the war recognized the importance of controlling that waterway. The Americans created fortifications, including West Point with its chain across the river. Washington assigned Continental troops under General Heath to the Highlands on November 12, 1776 and there was a Continental Army garrison in the Highlands from then until the end of the war. Heath's assignment thus created a de facto military department. The British sought to gain control with the Saratoga campaign in 1777, and frequently raided into the southern reaches of the department to interfere with the movement of military goods and personnel. One of the most notable incidents in the history of this department was the defection of Benedict Arnold in September 1780. 5) Middle Department: The Middle Department was established on February 27, 1776. Originally it included all of the colonies of New York, New Jersey, Pennsylvania, Delaware, and Maryland. In April 1776, the Main Army moved from Boston to New York, and became the field army associated with the Middle Department for the remainder of the war. On April 14, 1776 that portion of New York north of the Hudson Highlands, and the present state of Vermont were separated from the Middle Department and organized as the Northern Department. The Middle Department then comprised the Hudson Highlands in the state of New York, the rest of New York south of the Highlands, and the states of New Jersey, Pennsylvania, Delaware, and Maryland. The term Main Army had come into use during the Siege of Boston, because the majority of Continental Army regiments were assigned to it. The term was retained throughout the war. Most units in the Middle Department were assigned to the Main Army, under George Washington, or to the Highlands Department, which was under Washington's close supervision. A few regiments and independent companies were assigned to the Middle Department from time to time, but were not assigned to Washington's army or to the Highlands. These units were simply said to have been assigned to the Middle Department. Some of the Continental Army's most important campaigns were fought in this department. These included the New York campaign and the New Jersey campaign which ended with the battles of Trenton and Princeton. The Philadelphia campaign was fought in this department, after which the Continental Army went into winter quarters at Valley Forge. In 1778 this department was the scene of the Monmouth campaign. After Monmouth, on June 28, 1778, major military operations in the United States shifted to the Southern Department. The department existed until the close of the war. It was the scene of one of the war's last episodes when the British Army evacuated New York City on November 25, 1783. 6) Western Department: The Western Department covered the frontier territories west and northwest of Virginia and Pennsylvania, including the present states of Ohio, Indiana, Illinois, Michigan, and Wisconsin. It extended from Pittsburgh all the way to the Illinois country and as far north as the southern peninsula of Michigan. The department was established in 1777. Its first commander was Edward Hand. George Rogers Clark's Illinois campaign of 1779 was one of the most notable operations in this department. This department was the only one to remain after the war. The last elements of the Continental Army, stationed at Fort Pitt, were kept to guard the western frontier outposts. 7) Southern Department: The Southern Department was formally established on February 27, 1776. The department included Virginia, North Carolina, South Carolina, and Georgia and the western frontiers of those colonies, from which were created the present states of West Virginia, Kentucky, Tennessee, Alabama, and Mississippi. The field army associated with this department was known as the Southern Army. The Southern Department was the most independent of the commands due to geography and the need for year-round operations. Most of the territorial departments to the north of this department suspended offensive operations for the winter and early spring. The Southern Department was also the only one in which the troops assigned were destroyed twice. The first time was at the surrender of Charleston on May 12, 1780. The second was at the Battle of Camden on August 16, 1780. Despite these two catastrophic defeats, however, this department was the location of the Siege of Yorktown, in 1781, which effectively decided the outcome of the war. Important events in the Southern Department after Yorktown were the evacuation of Savannah and Charleston in July and December 1782. The Southern Department existed until the close of the war.